Display Notification in Bar Top/Bottom and Popup. 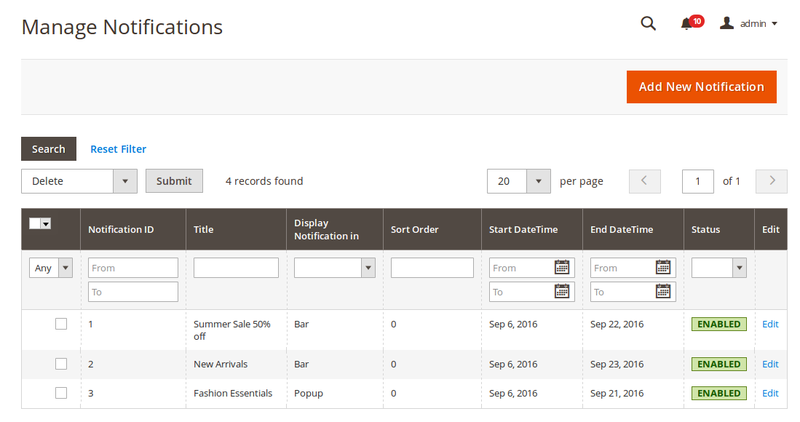 Display notification in categories, product and CMS pages. Able to see preview of notification in admin. Supported multi store view and customer groups. 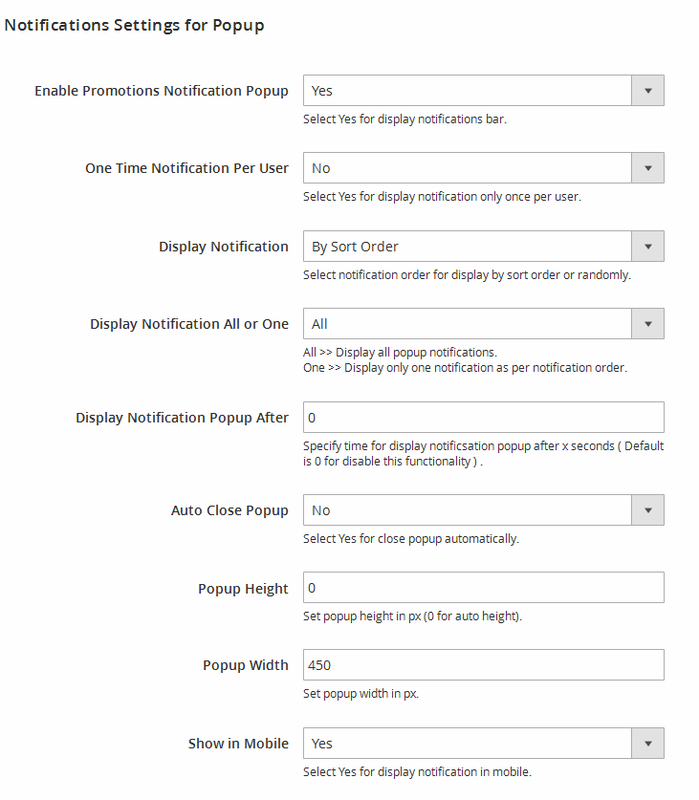 Option for display only one or multiple notifications. 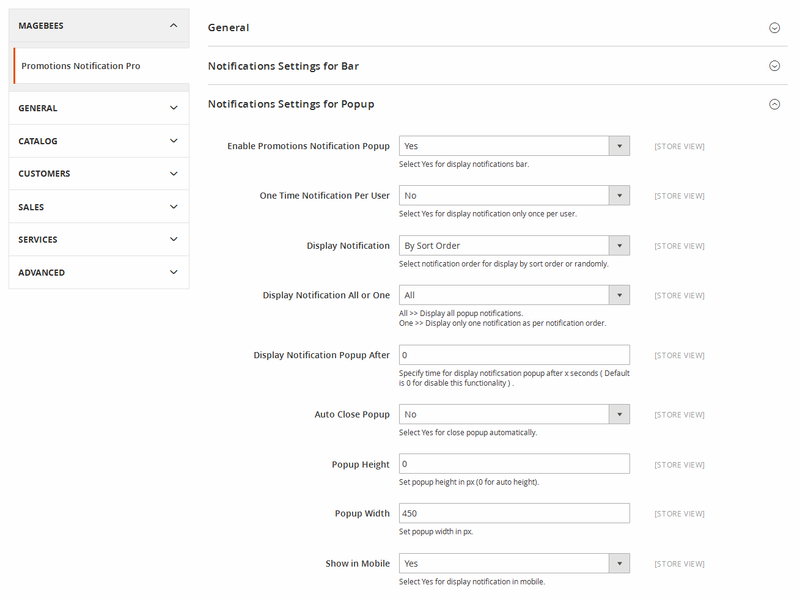 Display notification via sort order or random order. 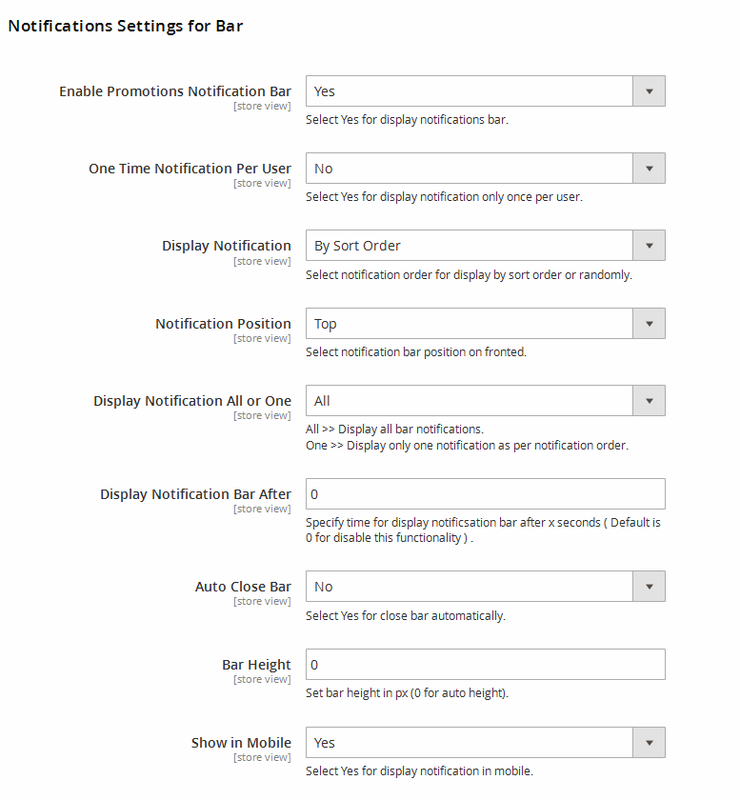 Many options for display notification after and auto close notification time. Embedded code for display notification from any layout or template. 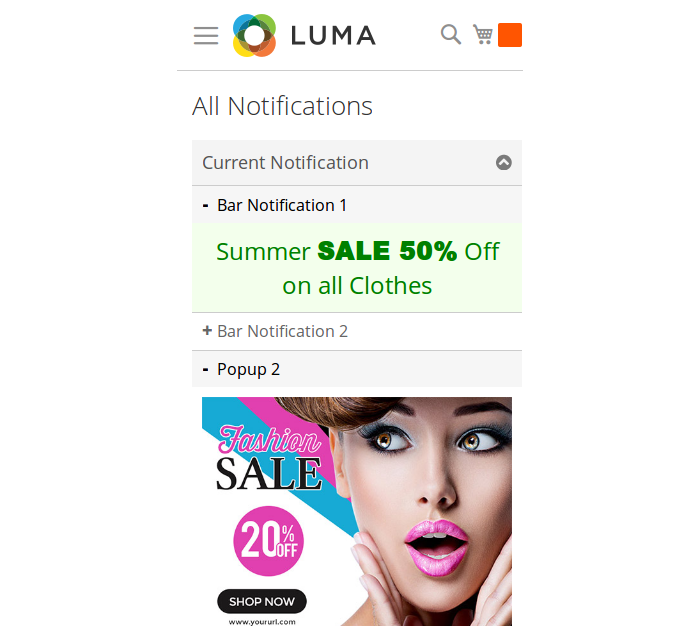 Magneto 2 Promotion Notification Extension helps notify and keep your visitors, customers informed about latest news, announcements, promotions, subscription, new offers, discount, deals or to educate about new updates and much more. 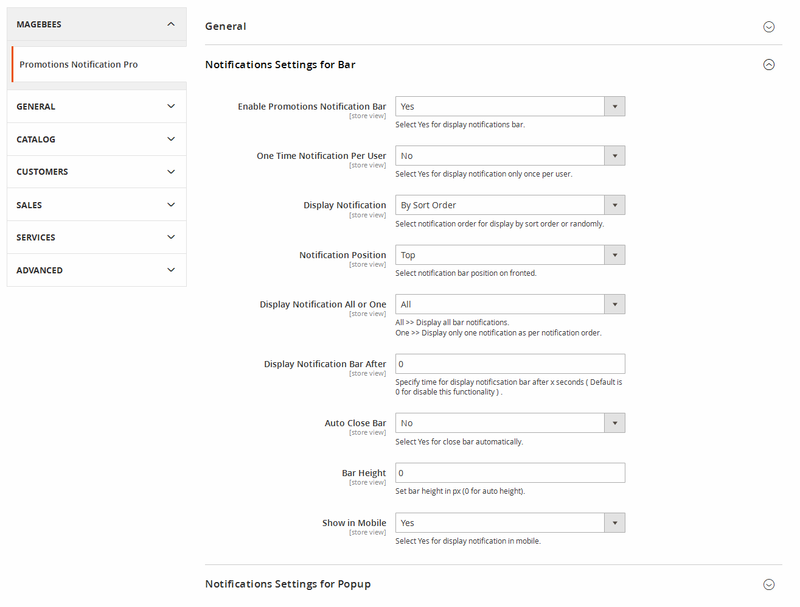 You can set your notification in Bar/Bottom and Popup with many configuration options. 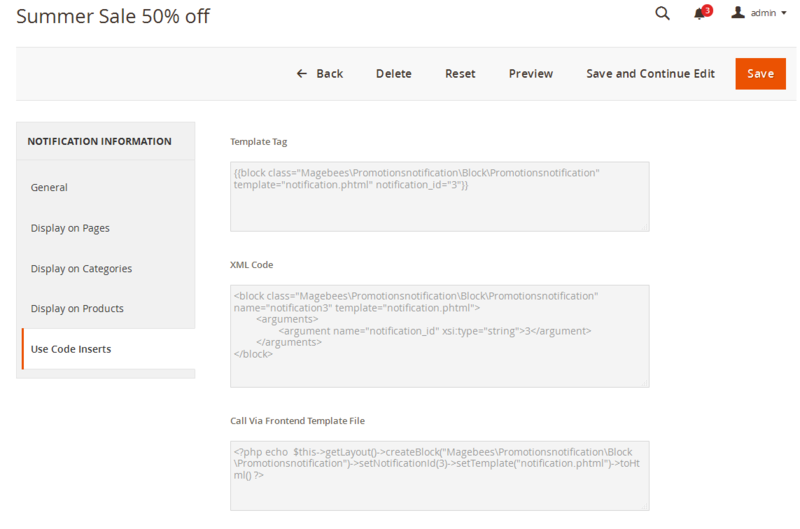 This is the most adaptable Promotions Notification Pro Extension For Magento 2 that I've found. We utilize Magebees for various extensions and their help is constantly first rate and extremely supportive. Works this extension as described. We bought this extension after checking the demo. 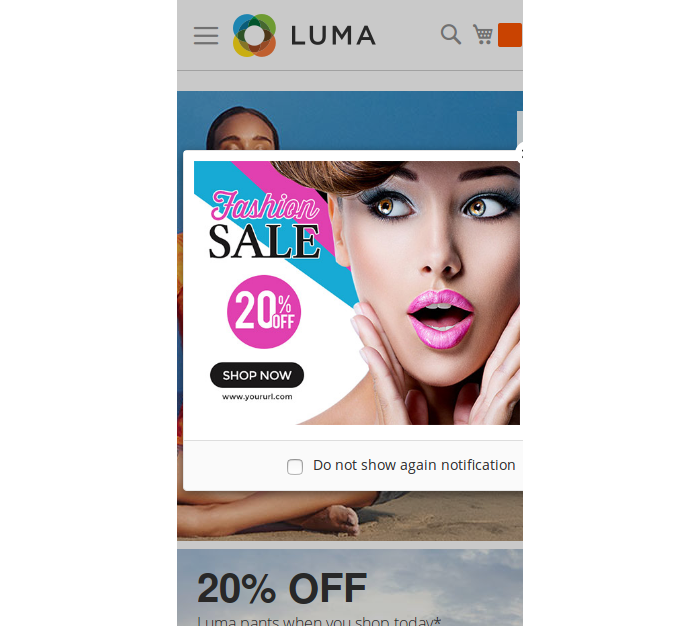 Excellent features for promoting the products. It help to promote our products on special days. 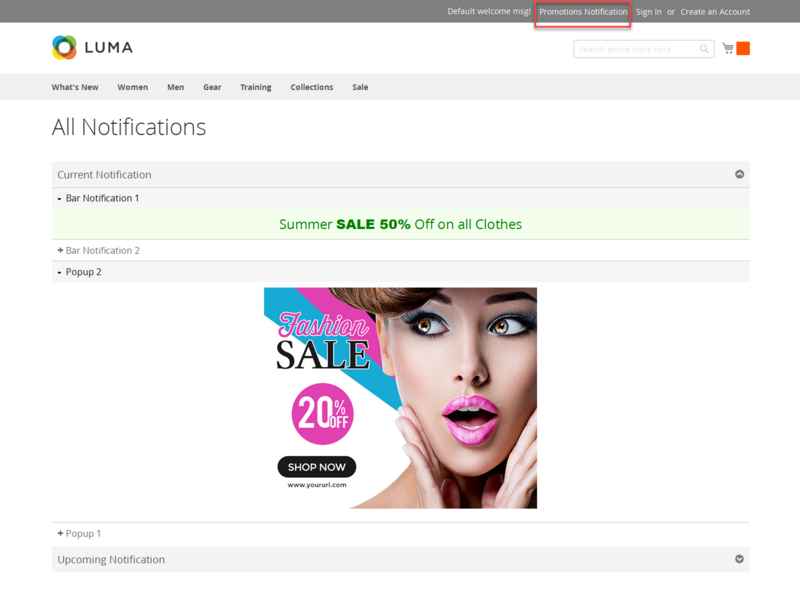 Looking for Promotions Notifications Pro extension for Magento 2 and fortunate stayed with this extension.Superb extension with all the required highlights. Much thanks to MageBees Team. This extension works admirably. 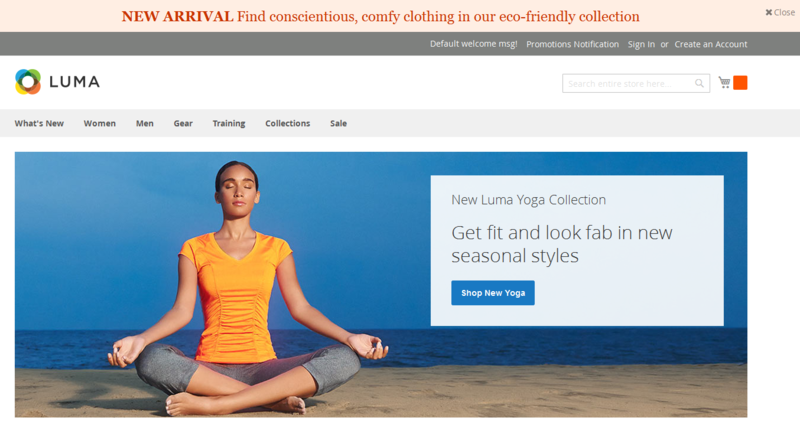 It was the primary module I utilized as a part of my magento 2 installation and it worked easily and was extremely easy to install. I recommend it. We have been utilizing this extension for a while and it's working great. Support is especially responsive and accommodating. GREAT EXTENSION! GREAT SUPPORT! THE BEST! Extension functions perfectly, and support was quick and very helpful. I highly recommend Magebees!! Incredible Extension and Great Support! 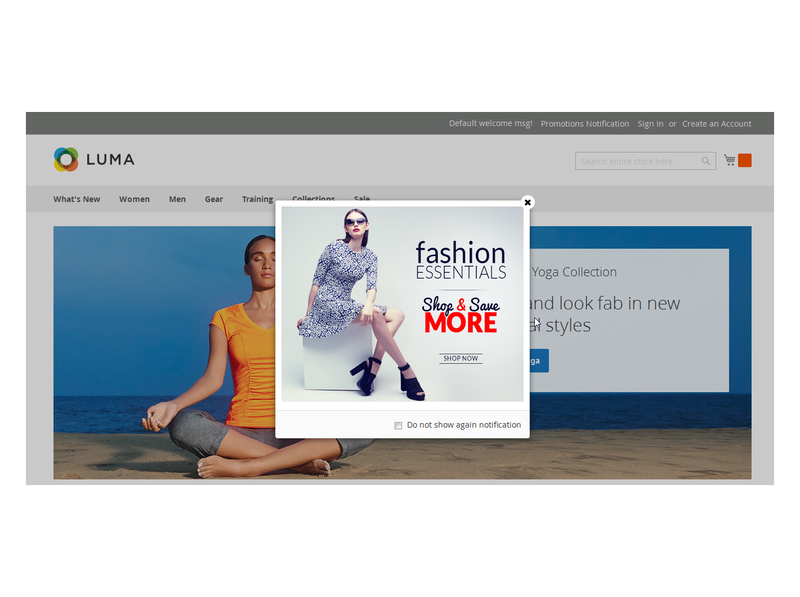 This extension have a tons a features and they are very helpful for my store. Quick Support. Thank you. Easy to run notifications and easy to set up. I have to say that this extension is the best by far. I tried another extension and it could not do all of what notification pro can like run multiple messages at once. Plus I have the option of top, bottom or pop notification. For a person like myself that has no experience with using codes this makes it easy to change my message, font, size, color etc with the editor. Support was great too. I initially had my web developer install the extension and I had to hire magebees support to fix what he messed up. They finished it with all my picky specifications within an hour. I am just overall impressed with your service and product. Thanks so much. 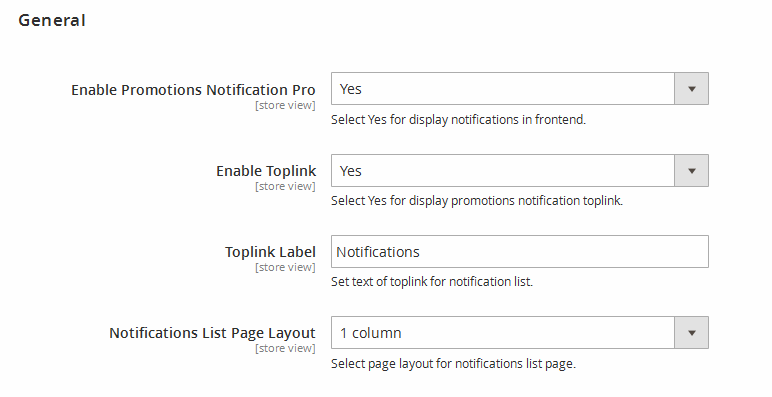 Added option for display notification on all CMS pages. 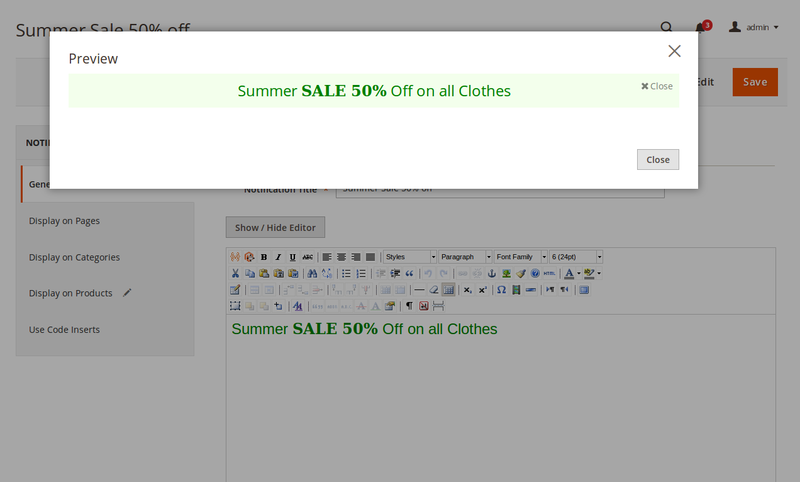 Q-1: I have Installed Promotions Notification Pro Extension. I got following error. “There has been an error processing your request”. “Please upgrade your database: Run bin/magento setup:upgrade”. Q-2: Date Range not working. 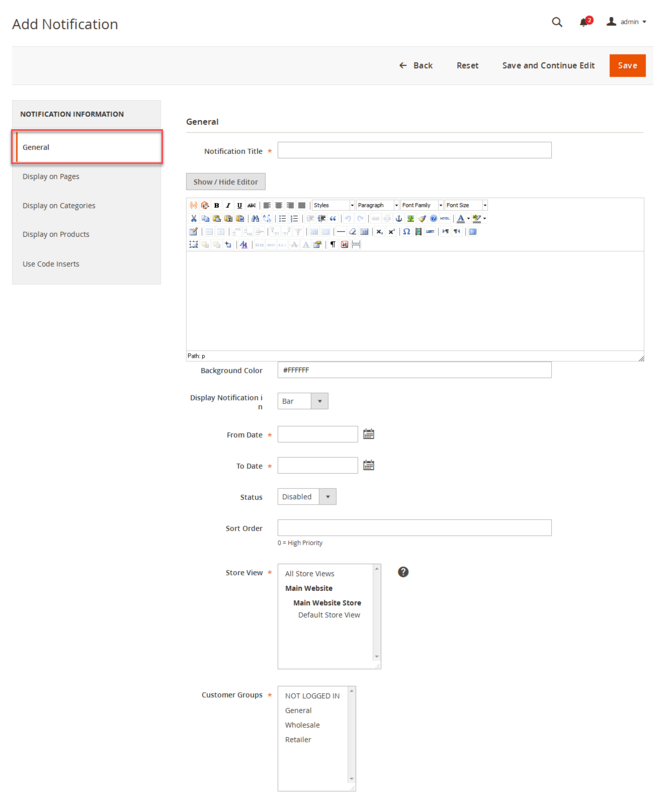 Ans :This is happen due to different time-zone in your magento store. If you want to set same date and time then, please set same time-zone as original website having. Q-3: I am getting error in console for cwsbxslider.js and cwsnotification.js not found, How to solve this problem? Go to admin -> SYSTEM-> Cache Management.